Cecilla (Cissy) Rayburn and husband Jack have retired to their summer place, a winery in rural Virginia. They are settling into their routines and planning for the future when a man, Obadiah Winslow, shows up at their place and tells Cissy he believes her first husband, Jimmy is alive. Jimmy was killed in the Vietnam War when his plane was shot down. “Colonel” Winslow even has a picture of a man that could be Jimmy. After he leaves Cissy does a little research and find that Winslow is connected with a group that tries to help families find their loved ones that were classified “Missing In Action”. Before she has time to decide if she wants to pursue Winslow’s claim, he is found dead. 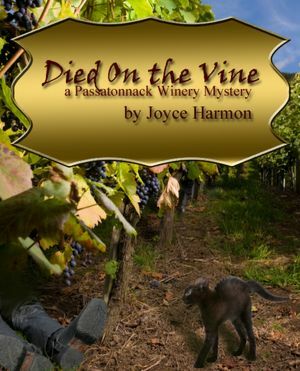 He was murdered and left in the Rayburns vineyard with Jack’s secateurs in his chest. Jack becomes the prime suspect. They thought they left the rat race to relax in the country. To save their days of wine and roses she must find the real killer before Jack is arrested for a crime he didn’t commit. 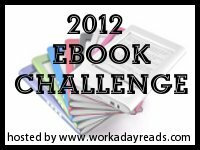 I really enjoyed this cozy mystery! The clipper culprit was quite a surprise. Cissy sets out to find the killer with the help of her friend Julie. Then they find a very interesting person with quite a bit of information about Colonel Obadiah Winslow. Together they are a team to be reckoned with. Julie is not one to mince words and Cissy calms the waters, which makes for a few humorous moments. The setting di”vine” and the mystery is clever. This is the delightful cozy to read with a nice glass of wine while relaxing on the deck on a Spring afternoon. I am looking forward to Harmon pulling the cork on the next installment of this series.